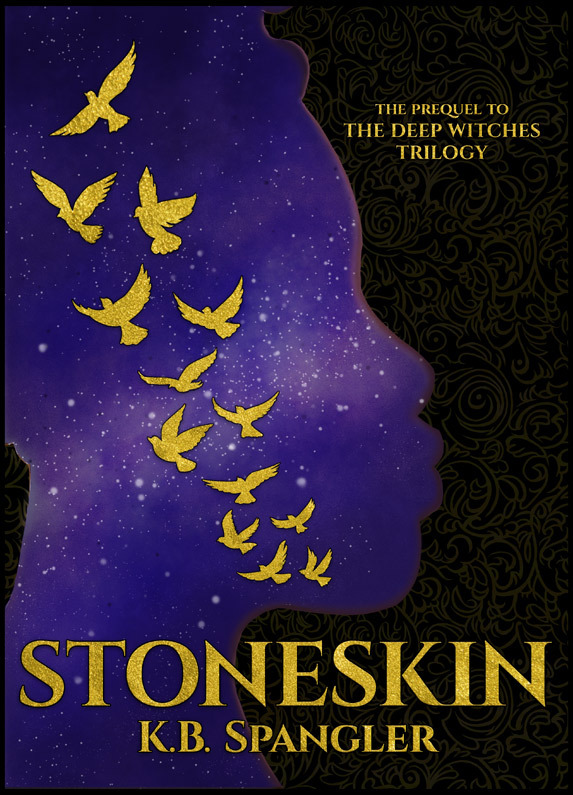 The Deep Witches series is science fiction touched with enough magic to move an entire galaxy. The Hope Blackwell novels follow Hope Blackwell, the world’s second-worst psychic. The Rachel Peng novels follow OACET Agent Rachel Peng, the first cyborg liaison to the Washington D.C. Metropolitan Police. Visit the K.B. Spangler page at Goodreads. What form of purchase nets you the most mad cash? Your own store, I imagine? Store has the greatest net, but Amazon traffic gets the most potential buyers. It all works out! Ooookay, book done , 5 minutes reprieve, check to see if author(ess ?) rational, ( hardly ever ), good enough for serious discourse…..
Just got Maker Space from Amazon UK. Will be reading shortly. I got Maker Space from Amazon Australia, just so you know. And I am loving it! The timeline got flushed. I had everything lined up perfectly in the comics and novels, until I realized the tech was so outdated in Digital Divide that the plot was unsustainable. It’s hard to believe, but tablets and smartphones didn’t really exist until five years ago. Things move too fast, and since one of the real benefits of self-publishing is sidestepping the time it takes to put a book in print, I decided to go with nebulous “now” time. See I was particularly interested in the dates of Josh Glassman’s various job titles from the start of his first book. I am trying not to be spoilery here, but according to those dates, wouldn’t he be doing someone else’s job (someone large and fed like, married to a paramedic) at this point of time in the current comic series? That said, i love a good nebulous now! Seriously though, I liked Digital Divide a lot, Maker Space is better. Thanks for writing both of em. Maybe 10 or 11 months? Depends on how quickly the next one comes together. Maker Space was slow–I wrestled with the plot like it was a snake made of rabies and razors. Thank you! And thanks also for telling your friends! 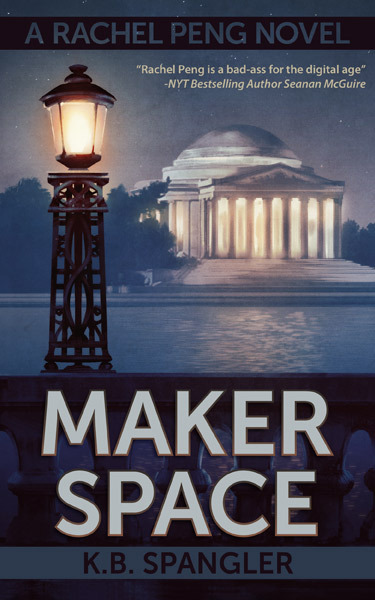 Are you planning to have Maker Space available in hardcopy? Yes, but I’m having crazy issues getting the cover to print properly. It’s still in draft status. Just re-read Digital Divide and Maker Space the other day. Had the same issue with them as I did the first time I read them.ie Where is the next one in the series? Will we ever see someone (preferably Rachel :D) enforce the office policy re: Orwell? Please? Hadn’t planned on it, but that does seem to be a Rachel Enforcement Opportunity. One reason why I haven’t downloaded the sample yet. I’ll wait until it’s released and then buy it. It should be out now, I’m not sure what the delay is. Let me poke the distributor and hopefully it will be up within 48 hours. At the time of this writing, it’s not showing up under search for title or author on the Kobo online store. Digital and Maker are, but not State Machine. I bought State Machine from your store, but the download failed and now the site says “You’ve reached the download limit for this item.” Can you arrange to unlock it? Or refund the fee and I’ll buy it from one of the other sites? I was re-reading the archives today and got here. http://www.agirlandherfed.com/1.715.html and said ‘Noooo!’ What’s Bell going to do? Just blew through all three books and the novela. Jebus. There were times where I laughed so loud I set off the dachshund, which got me banned from reading the books past midnight at my house. I keep trying to convince my friends to read both the books and the novels! I love them, but I keep wondering where Speedy falls into the novels? I know the world at large knows about him at this time, and he’s got his radio show in the comic, but he is mysteriously absent in the books. 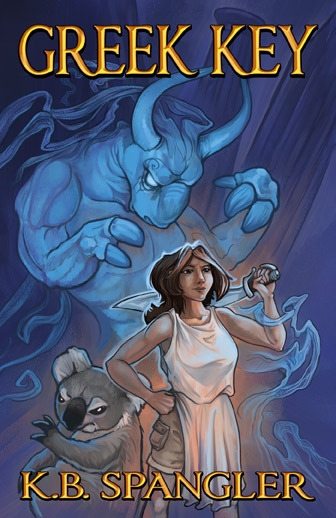 Hell, even the ghosts get a few brief appearances but no talking koala! Also, there may or may not be some Shawn-focused fanfiction running through my brain. Nothing committed to paper, and not any kind of slash at all, but I keep coming back to him in my brain. I find his character absolutely fascinating and keep hoping he gets more page-time! Mostly it’s because I need to keep the genres separate. 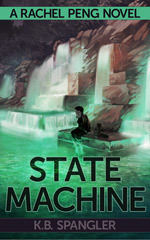 hi I love the books and I was wondering when the paperback of State Machine will be released ? Hi CD! I’m running into the same problem I had with the MAKER SPACE proofs, which is that the quality is wonky between print runs. As soon as I can get this fixed, I’ll make them available. Finally got around to getting State Machine, only the download failed and it won’t let me access the file…can you help? Can you email me? I can resolve this faster that way. For what it’s worth, the Amazon edition of Greek Key is borked still. Lots of missing text, jumping around, chunks missing, fragmented sentences…. I read the sample. It was good. This? Not good. Which reader did you use, and did you download from the store or from Amazon? I’m not sure I have any control over this if it’s Amazon–they do formatting for Kindle over there. I enjoyed the story of Digital Divide greatly (though after several days of thinking, I still haven’t worked out the significance of the paperclips, alas), but I thought you should know that some of the ebook conversions (purchased from Smashwords) have borked formatting. The PDF seems to be fine, but epub and RTF both change font spastically, and I think the mobi version only looks okay because the Kindle software is completely ignoring all font settings. I fixed my personal epub copy (thank you for releasing non-DRM editions!) by removing all font-family lines from the css file except .c24, which is used for the HELLO OACET sign, but I think the core problem is with the source manuscript having paragraphs that start with one style and then immediately shift to a different one. I haven’t read The Russians Came Knocking yet, but at first glance it doesn’t seem to have the same issue. Please let me know if I should send you any more details, or I can be of any other assistance. Hi all! Huge fan of A Girl and Her Fed and have been rabid over the books. The thing is……when I bought my copies of the original parts of Digital Divide, I just downloaded the PDF files and just converted them in Calibre to read in my eBook reader on iPad. Which of course makes it look all wibbly wobbly and not so timey wimey. The thing is, I’m hoping to get Maker Space soon (been rather broke), as well as The Russians Came Knocking, and I was wondering: Do any of the above buying formats allow ePub downloads directly? Or does anyone know a better way of converting to ePub to preserve the original, Otter-Intended formatting without wrecking it? And as always Otter: Thank you for rocking my rainbow-polka-dotted-socks straight the hell off. Ebooks conversion errors are, sadly, par for the course. Once it leaves my hands, the autoformatting process does HORRIBLE THINGS to the file. This seemed to be more likely to occur in longer books when there are formatting changes (more chapters, more italics, etc. ), so Digital Divide had a greater probability of error just due to length alone. And it really didn’t help that it was my first attempt at e-publishing, so a lot of those errors could have been prevented. 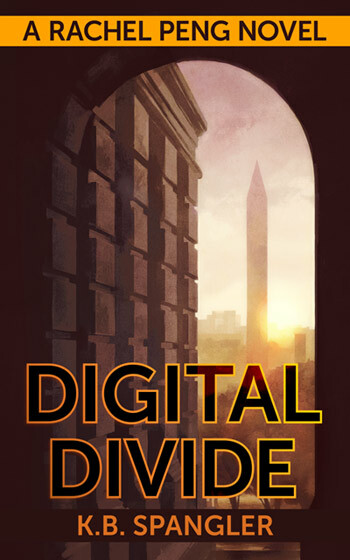 I’ve reformatted and uploaded a cleaner version of Digital Divide, so if you download it a second time, it might help reduce errors. If I Read It Right, the paperclips were for picking the handcuffs. Basically Rachel went in there and offered The Killer a way to break out, if only he Threw The Monster Under The Bus (betrayed Senator Hanlon). The second paperclip she had hidden in her sleeve was to replace the one that she ‘lost’ when she pulled the picture of The Victim off the manilla folder prop. Hi Matdredalia! Shoot me an email. There’s a standing policy of free copies for comic readers who can’t afford them. Hi Otter. 🙂 I actually know about the policy, but I just would feel bad doing that. I think your work is monumentally important, and you already give us the comic for free. To me, it feels like I’d be taking advantage. >.< I probably sound like a dork (my Speedy plush frequently tells me that I sound like an incoherent primate and that evolution has clearly failed me) but I just don't want to be greedy, if that makes sense.